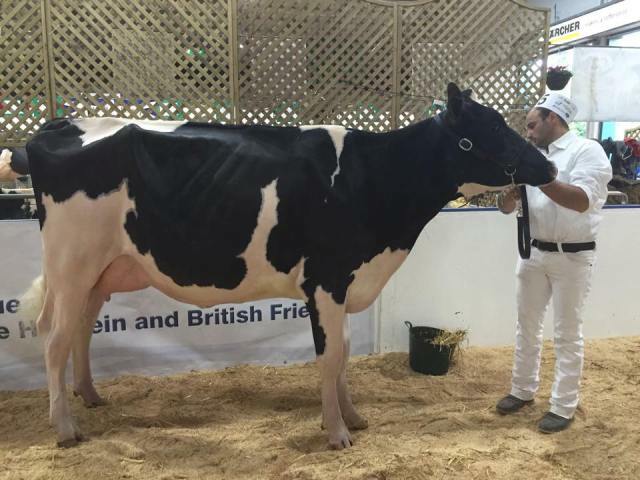 There were numerous highlights at UK Dairy Day for the Richaven team with Richaven Goldwyn Squaw 6 standing reserve grand champion, three of the winning West Midlands team coming from Richaven and being awarded Premier Breeder and Premier Exhibitor. 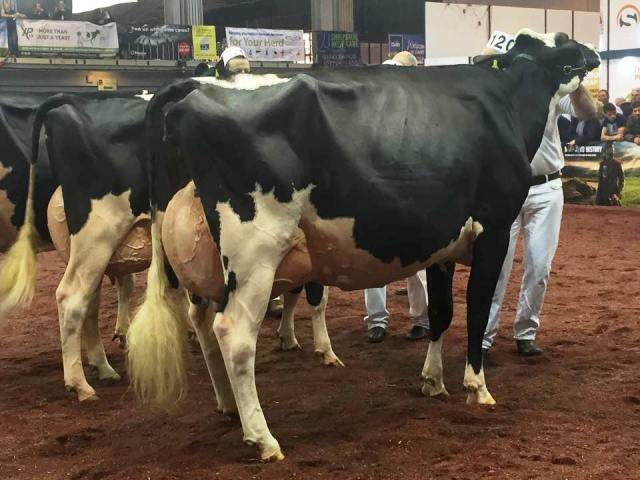 Richaven Goldwyn Squaw 6 stood top of the line in the senior three year old class, it was named the strongest class of the day by judge Nico Bons. She then stood reserve senior and reserve grand champion. 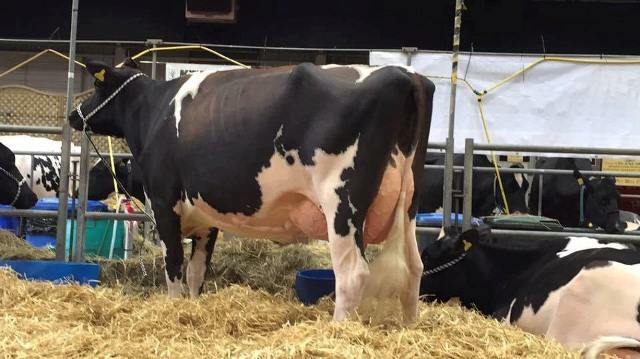 Calved in December with her second before standing interbreed champion at UK Dairy Expo in March. Classified VG89 she is out of the 2012 Supercow Richaven Shottle Squaw. In the junior championship we stood honourable mention with Richaven Shadow Tandy who stood top of the junior two year old class. Sired by B-Crest Shadow she is only four weeks fresh and already giving 34kg. This is the first outing for this heifer who is out of Fordmill Squawbuck Tandy EX95. The show other highlight was Richaven Goldwyn Squaw 6 VG89, Richaven Sid Squaw 3 VG89 and Holmland Goldwyn Adeen EX93 being joined by Showgirl S C Sara to win the Club group of four class for West Midlands. In the Red and White championship Richaven Wisconsin Papoose Red stood reserve champion on her first show outing. She is the 16th generation of VG or EX cows and calved in July. Richaven Fever Fransci stood eighth in the biggest class of the day with 19 intermediate two year olds forward. In the junior three year old class Richaven Sid Squaw 3 stood second, while Holmland Goldwyn Adeen also stood second in the five year old class. In the mature class Richaven Goldwyn Adrienne stood second, while Richaven Jasper Roxie was in fifth. 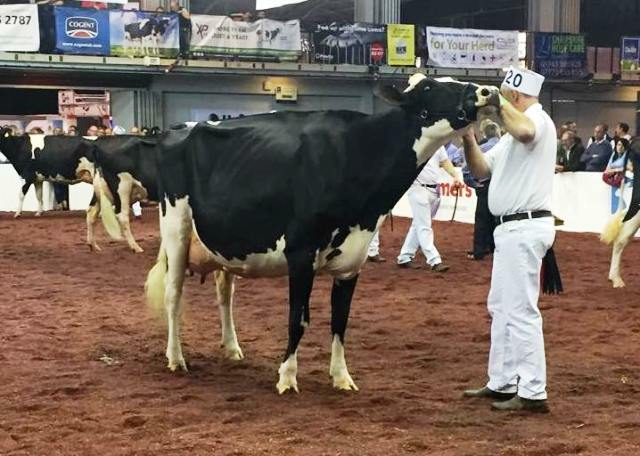 The last three shows Richaven have competed are the largest National shows in the country, UK Dairy Day 2014, UK Dairy Expo 2015 and UK Dairy Day 2015. 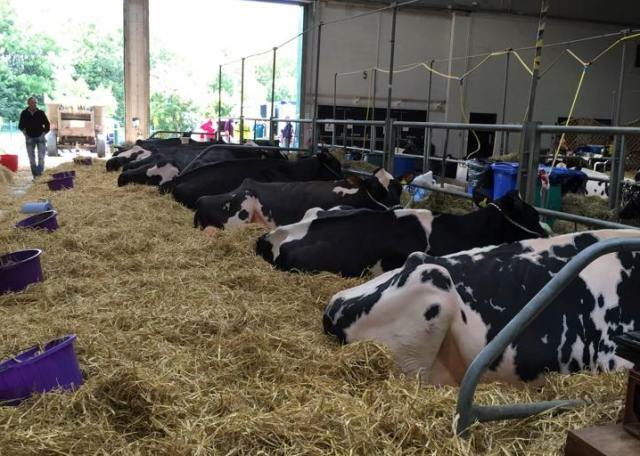 The herd has been awarded Premier Breeder and Premier Exhibitor at all three shows, in 2015 we have shown two teams of eight cows, with Richaven Goldwyn Squaw 6 the only cow competed at both UK Dairy Expo and UK Dairy Day, all contributing to our success. A massive thank you our new team of helpers for all their help and effort in the run up to and at the show.